Papali’itele Fa’amausili Molī is the new holder of the Malietoa title. The son of the late Malietoa Tanumafili II was bestowed the honour during a colourful and an elaborate ceremony at the Malae o Vaopipi, Malie, early yesterday morning. 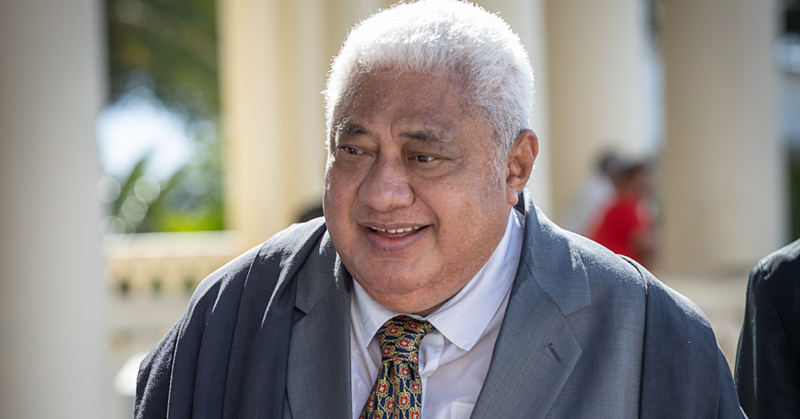 The Malietoa title had been vacant for more than ten years since the passing of the former Head of State, His Highness Malietoa Tanumafili II. 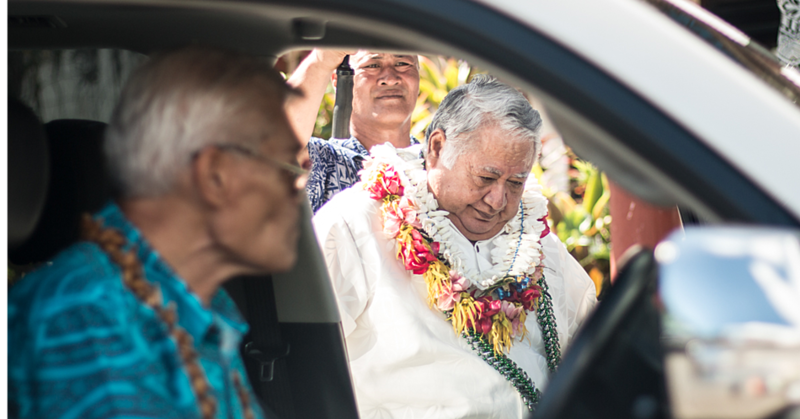 Yesterday, Malietoa Molī received the blessings from his family as he embarked on his journey as the holder of one of Samoa’s highest-ranking chiefly titles. “I am very happy to see my families are here today to celebrate this special day with me,” he said. 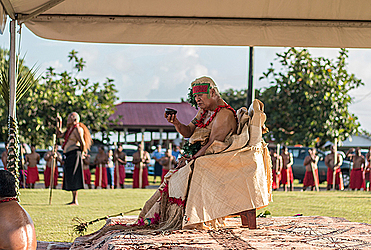 Among a large crowd in attendance was the Head of State, His Highness Tuimalealiifano Vaaletoa Sualauvi II and his Masiofo, Fa’amausili Leinafo. 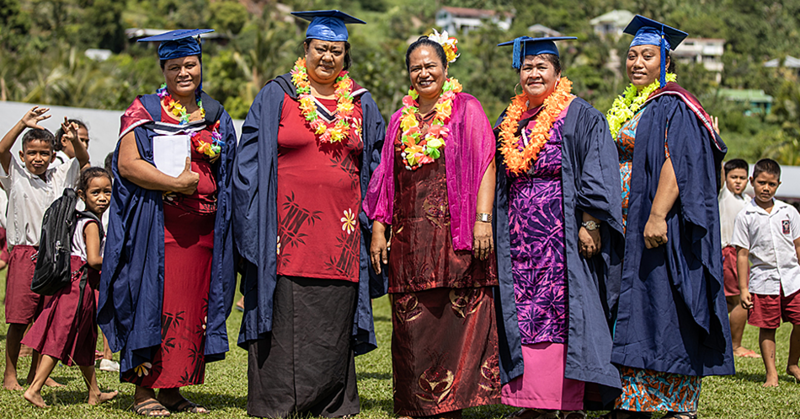 The bestowal ceremony follows years of Court battles between different parts of the family and heirs of the Malietoa title. Yesterday’s ceremony is unlikely to end the challenges and petitions against Fa’amausili Moli as the holder of the title. But Malietoa Moli said his immediate focus is to bring his family together. He said he wants peace and unity. “Living together in peace and harmony is the foundation of any Samoan family and that’s my calling in my family, to be a servant and a good leader,” he said. Malietoa Moli said he was humbled and honoured by his family’s faith in him to carry the title. The ceremony started with a church service conducted by Reverend Elder Pouniu Fa’amausili of Panmure, New Zealand. “The success of families, villages and churches comes from leaders, matais and chiefs,” Reverend Pouniu said. Village member, Toelupe Saua, this is the 39th person to receive the Malietoa title in the history of the Sā Malietoa. Last year, the Land and Titles Court ruled in favour of Malietoa Moli as the next holder of the Malietoa title.